If you missed this deal a few weeks ago, you can get it again! 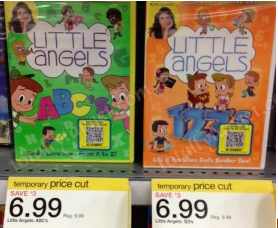 There is a great deal on these cute Little Angels DVD’s at Target! This entry was posted in Imprimir Cupones, Printable Coupons, Target and tagged deal by AustinCouponing.com. Bookmark the permalink.